Single malt Scotch whisky creator Gordon & MacPhail has released two stunning new additions to its ‘Private Collection’ range: a 64-Years-Old single malt from Glenlivet Distillery and a landmark 50-Years-Old from Caol Ila Distillery - the oldest Caol Ila single malt ever released. Aroma: Initially sweet with hints of brown sugar and toffee apple; light herbal aromas evolve into candy notes. Traces of cinnamon and aniseed add depth whilst sweetness arrives from lemon curd, and vanilla undertones. Aromatic fresh-roasted coffee beans balance orange zest. Taste: Silky, smooth and intense golden syrup mingles with stewed fruit and rum and raisin. Touches of dark chocolate complement the delicate Sherry flavours. Sweet brown sugar remains whilst hints of walnut add a slightly drying aspect. 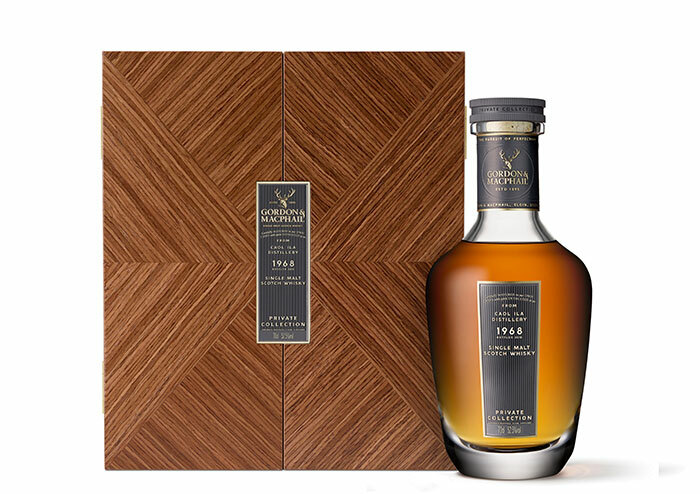 Finish: A refined and elegant dram with a black peppercorn and lingering mature oak finish. Aroma: Delicate wisps of peat smoke combine with aromas of honey-cured meats and vanilla pods. Fruitcake-laden notes of nuts, raisins, and plump sultanas develop. A hint of menthol runs throughout. Undertones of zesty citrus and aromatic lemongrass linger. Taste: A refined and subtle, yet warming, spice opens into raspberry, cranberry, and sweet baked apple flavours. Thick cut Seville orange marmalade and gentle Sherry influences develop with time. Mature oak notes add a slightly drying character. Finish: A lingering finish of smouldering bonfire embers combine delicately with lemon zest and charred oak.